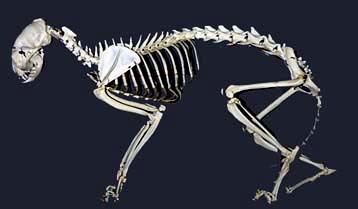 This tutorial was designed to be used by college students studying cat anatomy. It should not be used to replace hands-on experience in the laboratory. It is intended to enhance the laboratory experience and provide an alternate frame of reference for learning. Before beginning each section of the tutorial students should have already examined the material in some detail in the laboratory.